But Jay, Jay - look at that tattoo. It is a SHOW hoomin. Better than the average. Nevertheless, RG, this hoomin is taking horrible liberties with this little bunn. Sad. Judging by the look in his eye, kinda surprised that the hands are not bleeding; Jay has been very patient indeed. 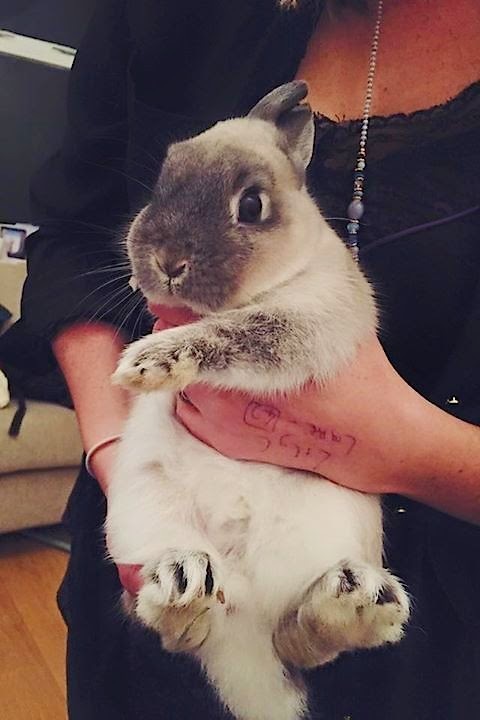 And those fluffy feets could have done some damage--yes, that hoomin is lucky that Jay is a gentlebun.